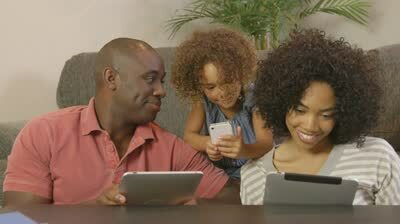 Covenant Relationships: Should A 5-Year-old own a Mobile Phone? Do forgive the sarcasm but I know things have changed since his days and children grow up much quicker but he's just not sure why a 5 year old needs phone, a toy one maybe, but not one that makes calls! A child of this age shouldn't be out and about on their own and should be under supervision of either a parent, teacher or another grown up. Time really flies. When I was 5 years old, all houses had proper telephones but you rarely see those anymore. I have come across 5 year-olds who own their own phones and I know a mother who gave her daughter a blackberry Smart phone at the age of 8. I never saw anything wrong with this. That’s her choice and that’s what works for them . Her daughter captures pictures of the house and sends her videos so that her mum knows what she and her sister are up to. Maybe I’m of the jet age but while growing up, kids got phones around the age of 12 or 13 so I think it is OK to buy your child a phone even if they are young, but 5? That's a different matter and even at 13, it should be strictly a communication device. From my experience, it seems to be mainly about the kid having an entertainment device to play games on, than a device to call or text people. The parents upgrade their phone and hand their old one down to their child who after seeing their parents on them so much, wants to be like them. However, I'm not a fan of introducing children to gaming at such a young age, as children seem to be losing the ability to play and amuse themselves without sitting in front of the TV or games station. Once they start to want their independence they are a useful tool like when they're going to school on their own, cinemas with friends etc, but even then, the phones don't have to have cameras or Internet access. There are settings which you can activate to restrict the calls to only you as the parent but what if there is an emergency and your phones are not available? I say, watch your child and if you do feel they need a phone by all means, get them one, but make every effort to monitor the calls and messages and make sure they don't become a slave to what is a tool of communication because many adults are.